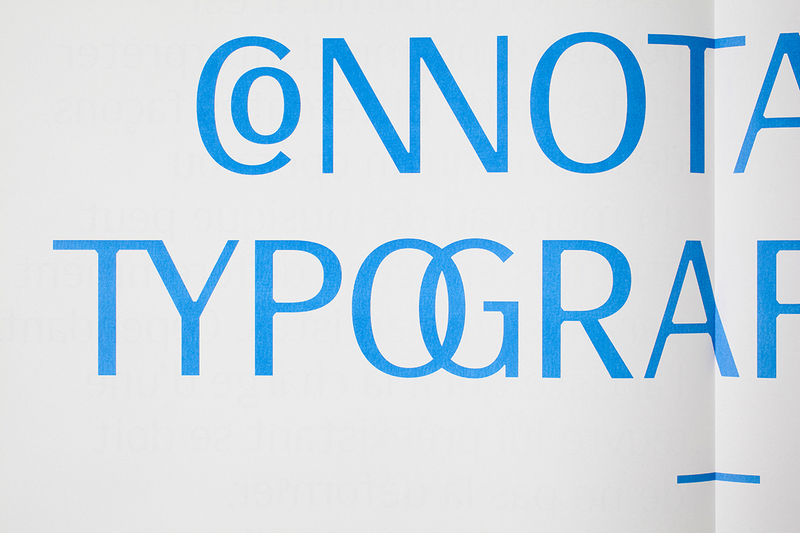 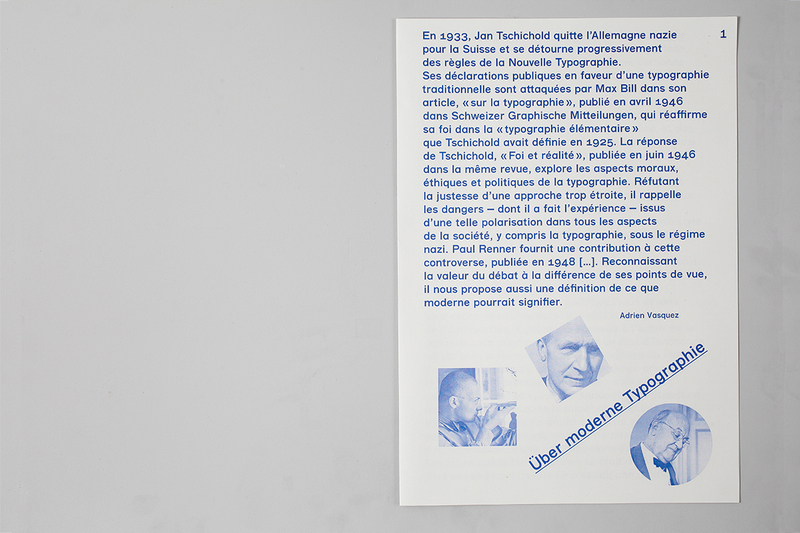 These five specimens present five typefaces created during my master degree in graphic design : Smithee, Porcelain, Franz Grotesque, Grotex and Ensba Mono. 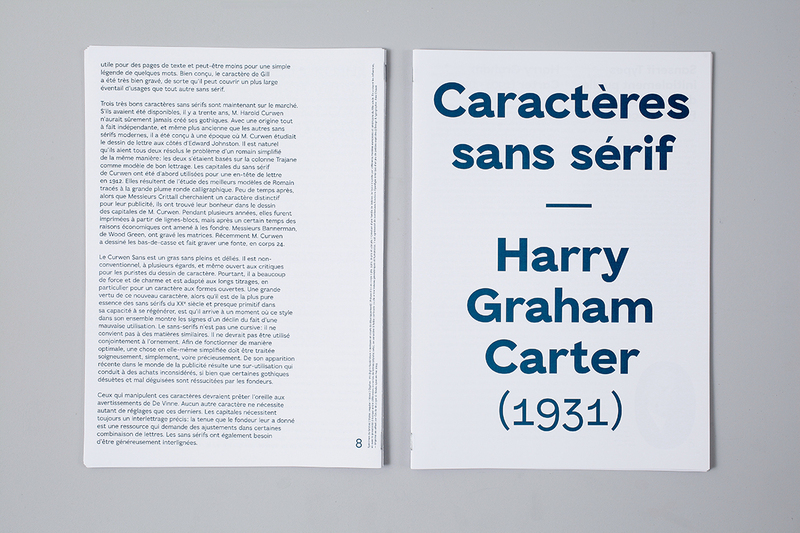 From the historical “Grand Colombier” poster, each format is the half of the preceding (in-folio, in-quarto, in-octavo, in-sixteen) thus adapting to the specific usage of each character it presents. 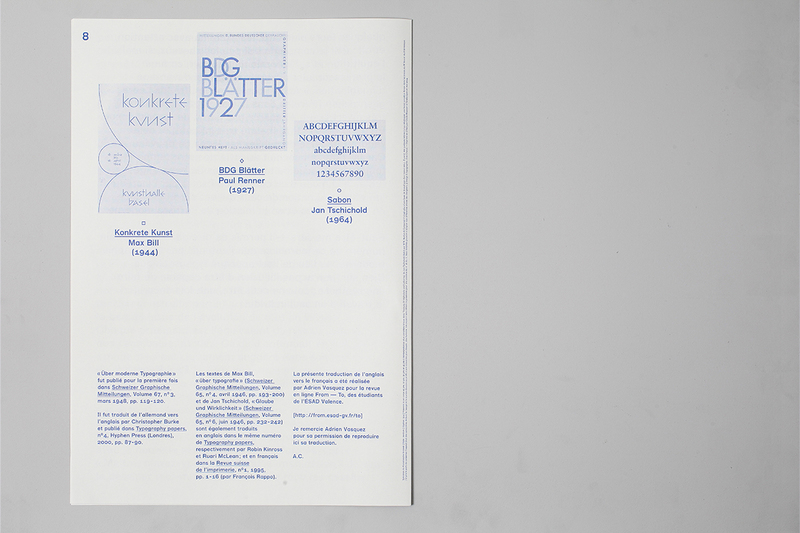 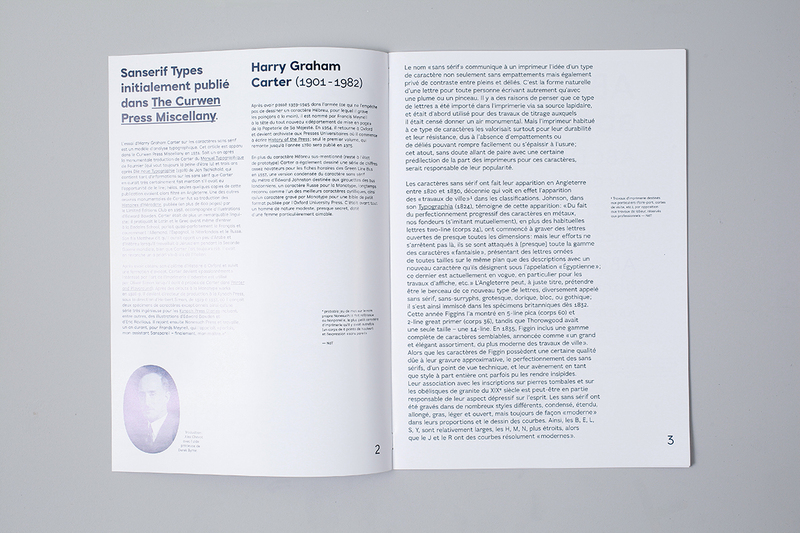 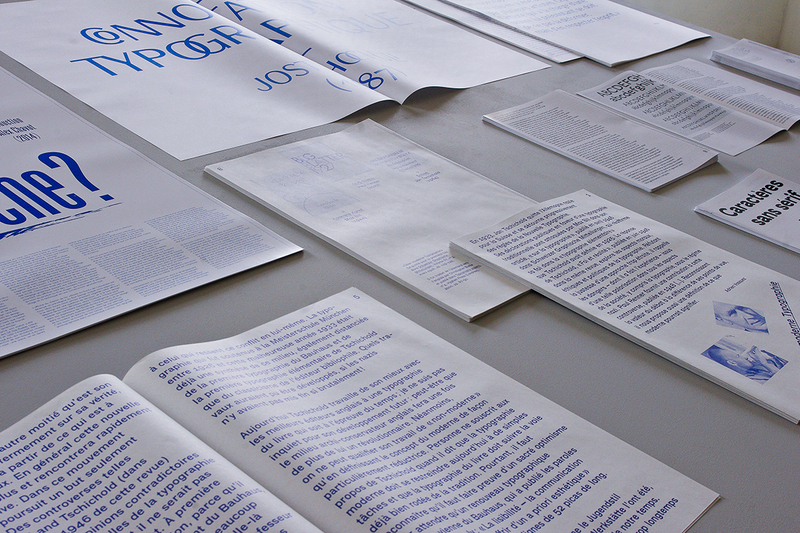 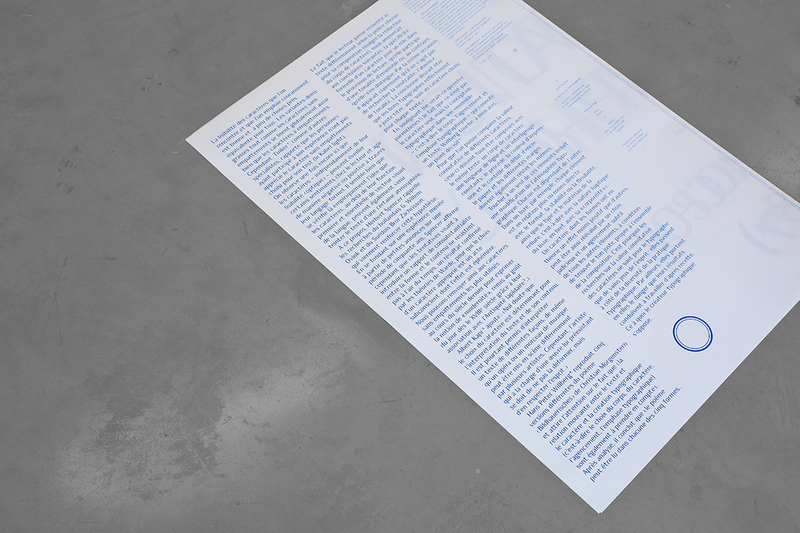 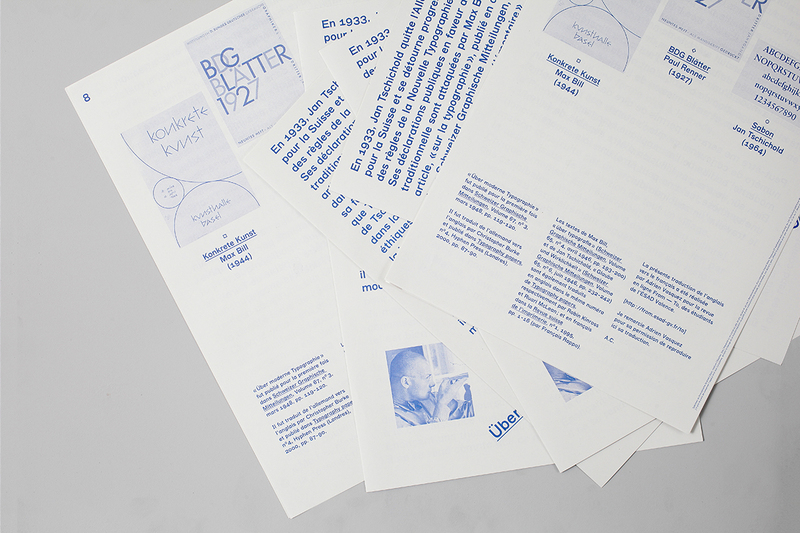 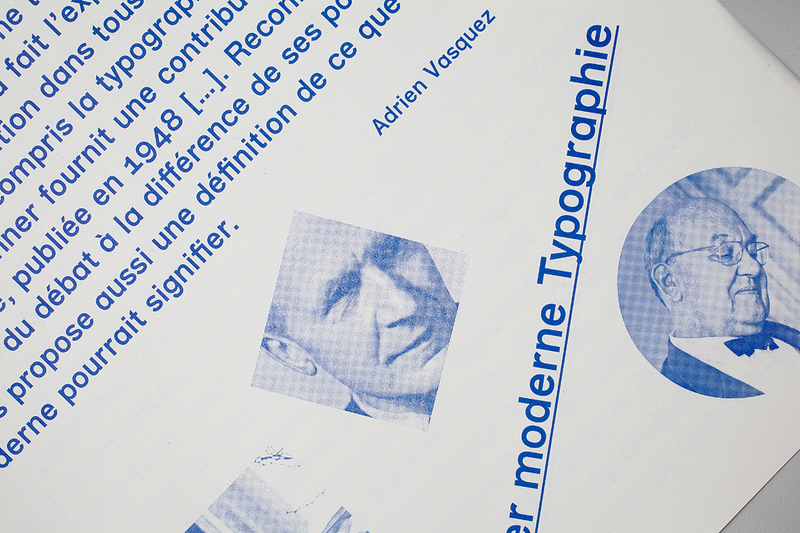 Although on different papers, each specimen is printed with the same blue color, directly darkened on the offset press during the process. 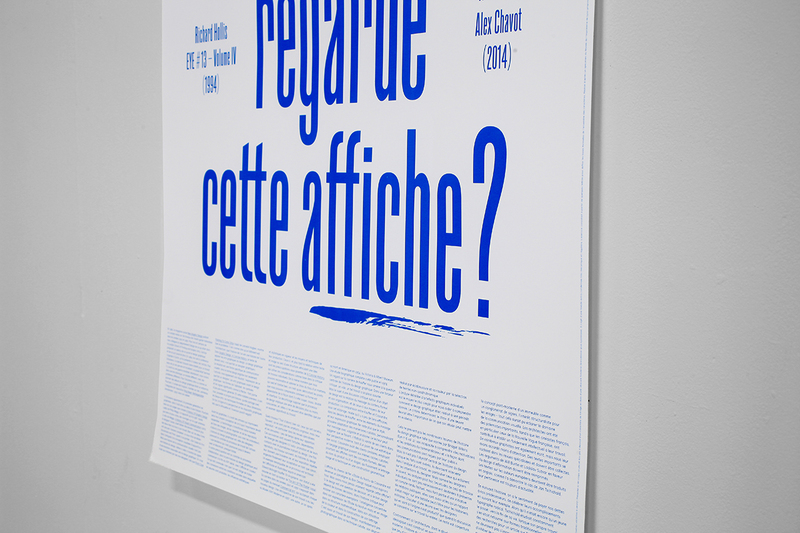 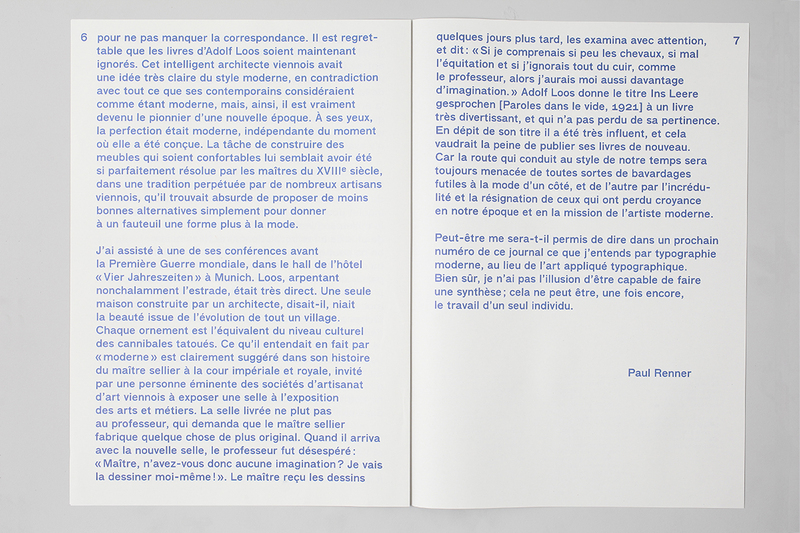 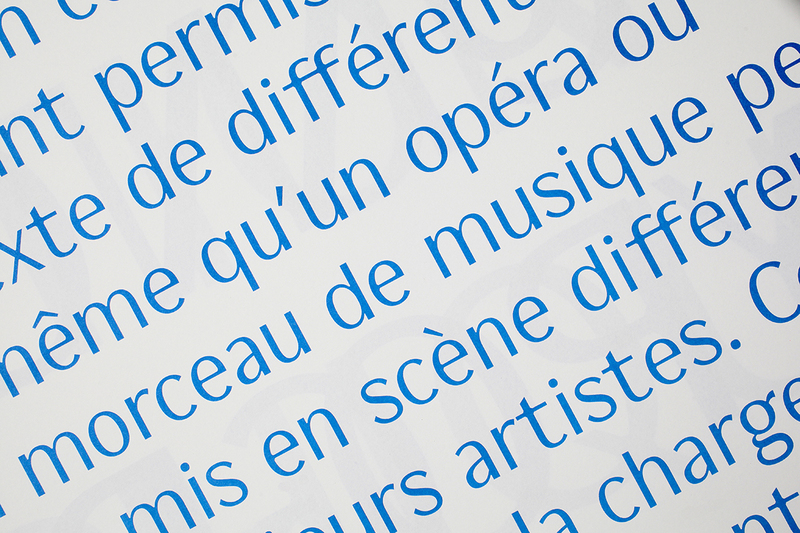 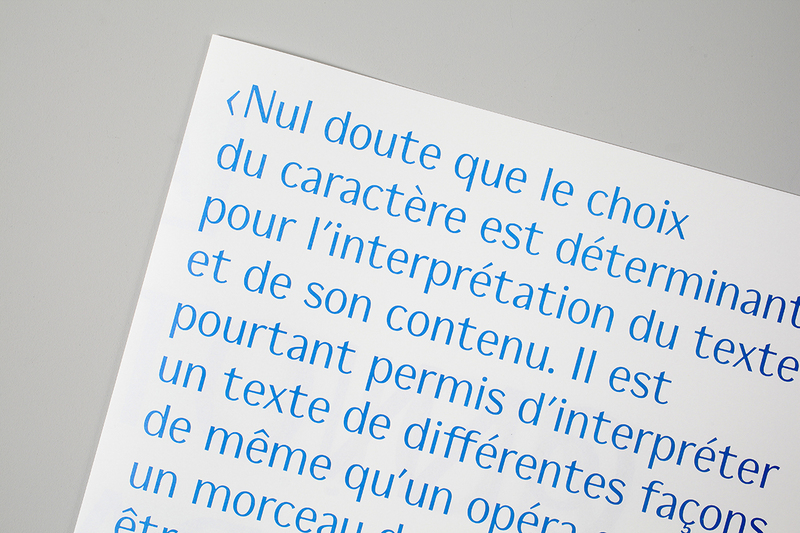 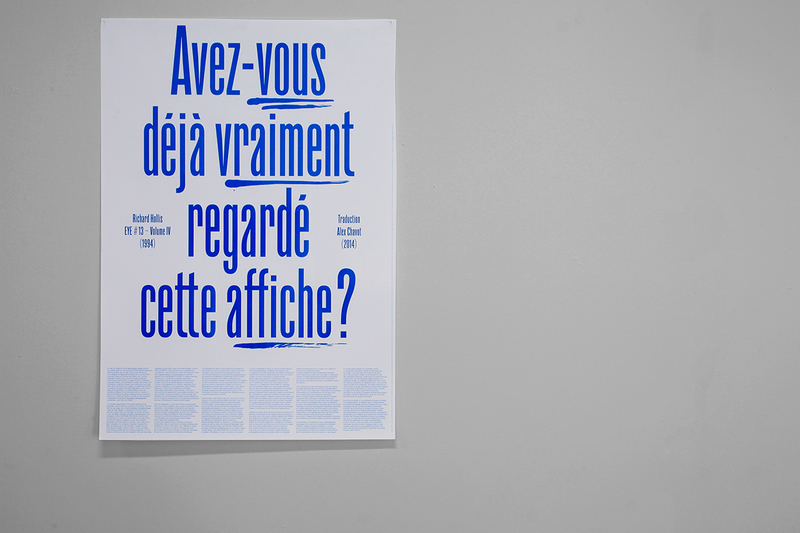 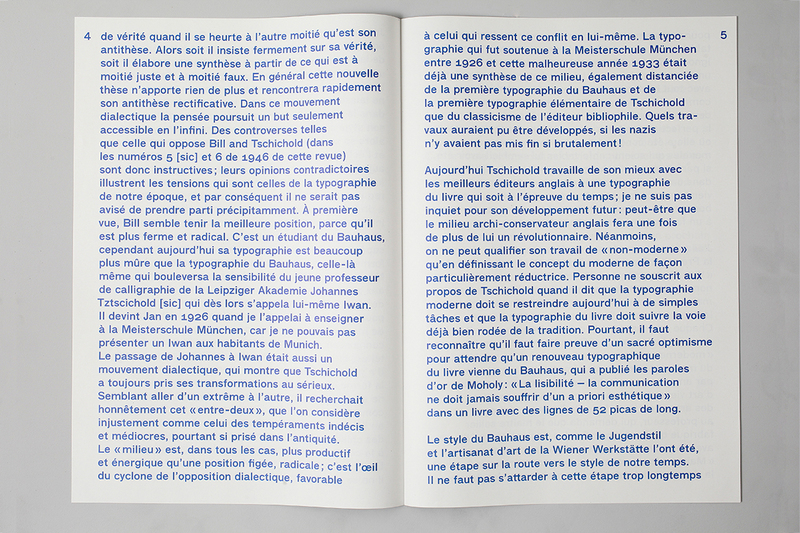 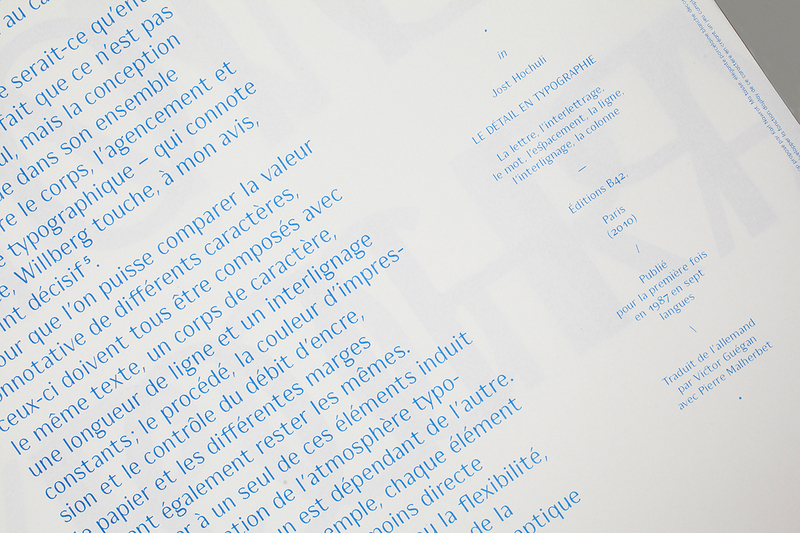 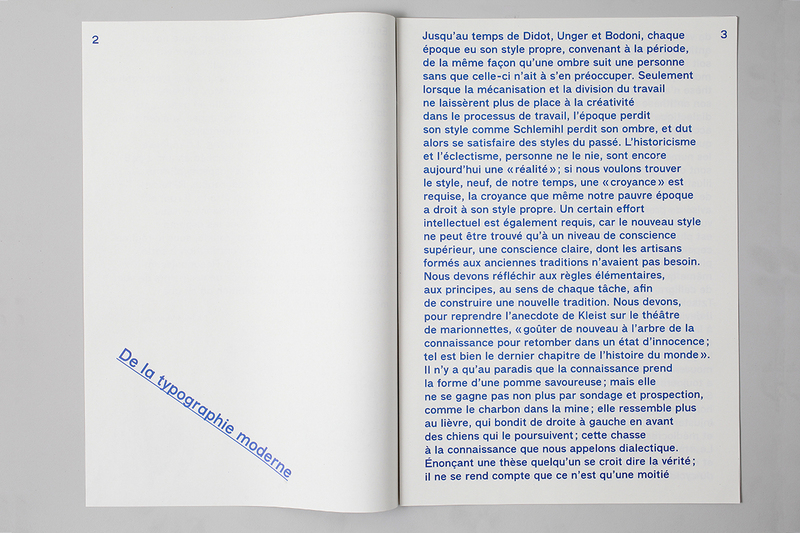 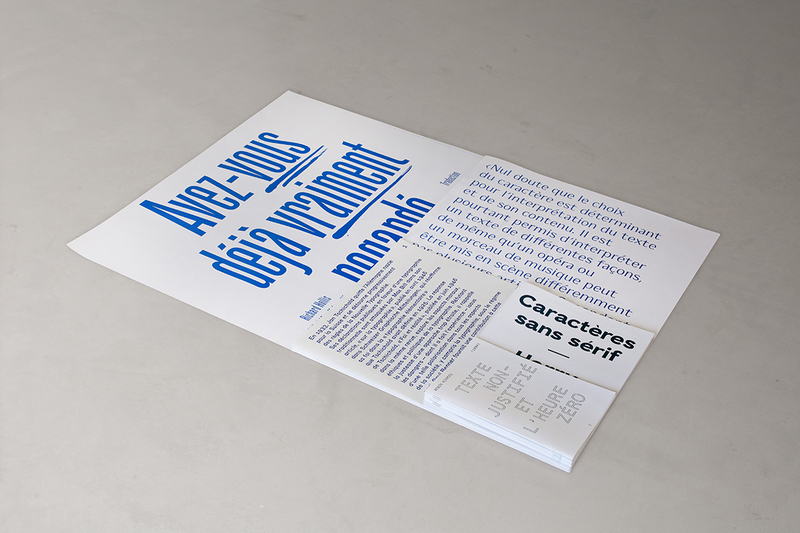 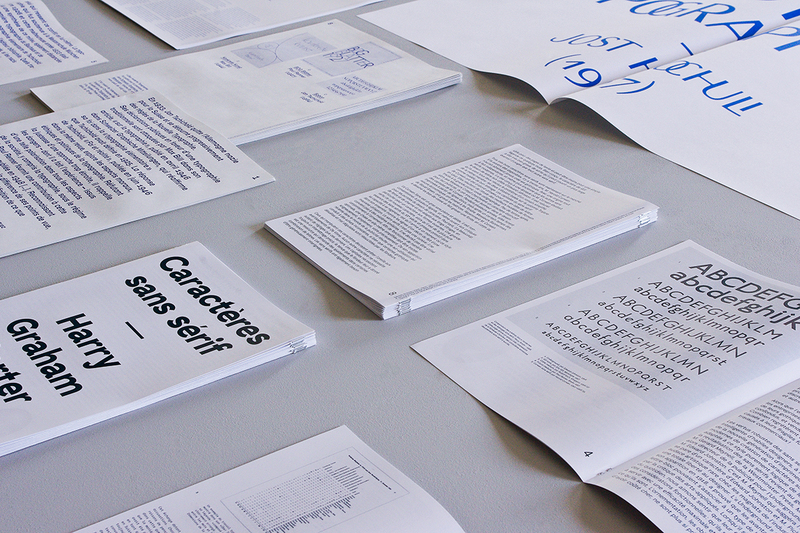 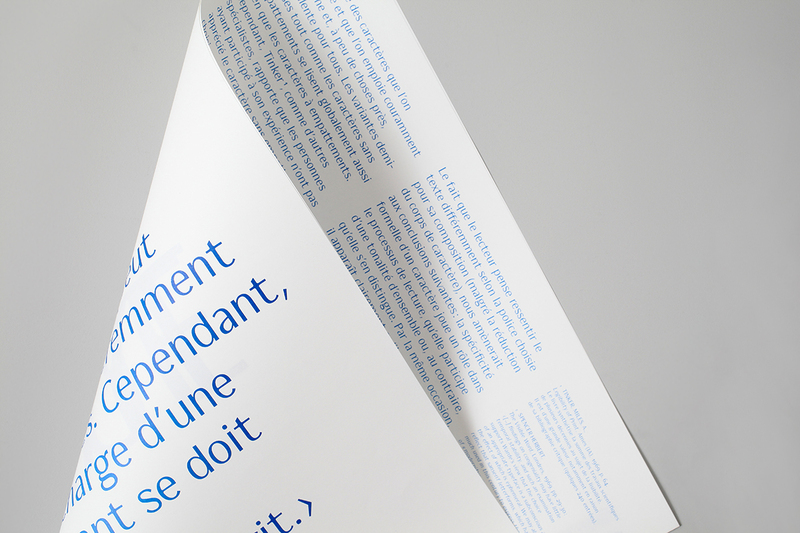 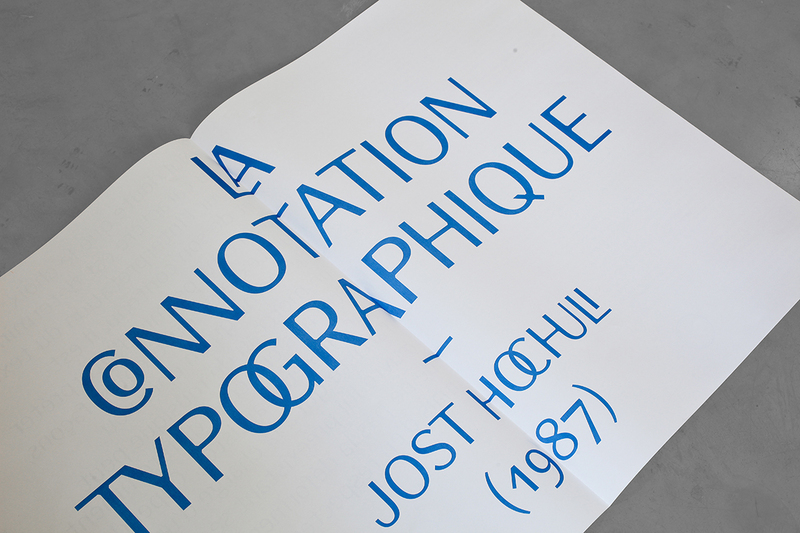 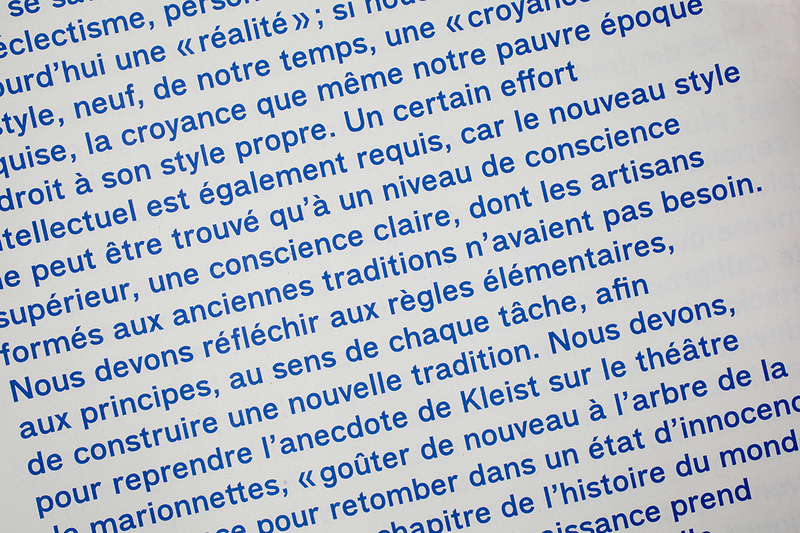 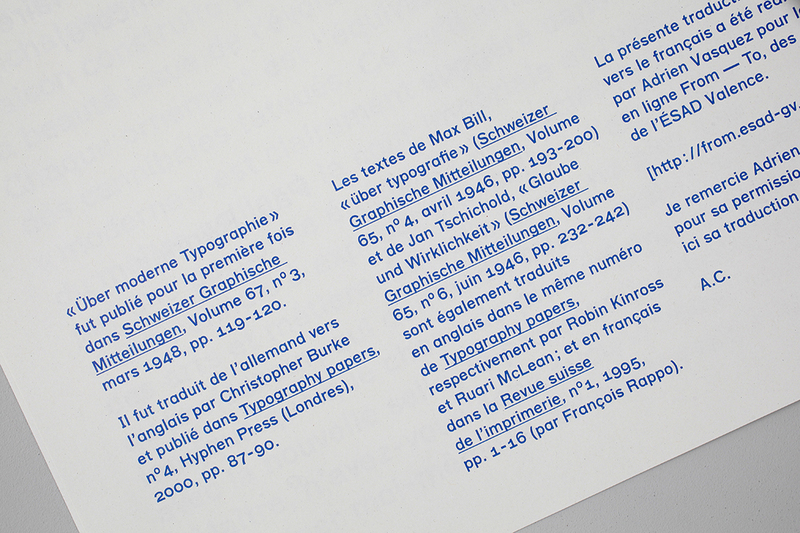 I decided to take this opportunity to re-edit texts related to typography that seemed interesting, difficult to access or not translated in French yet. 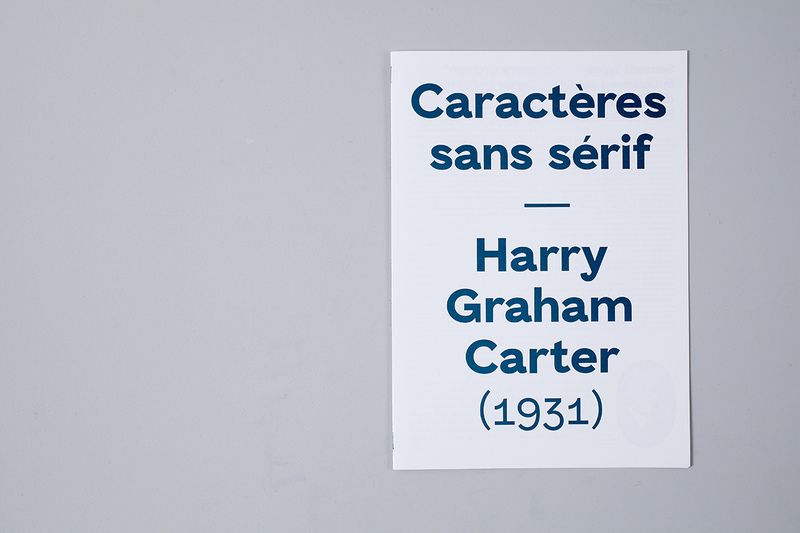 Each text was chosen because it was in some way connecting with the character in which it is presented.